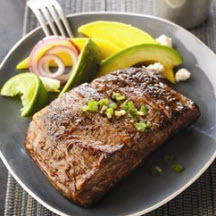 CooksRecipes has quality, kitchen-tested recipes for grilled beef steak dishes that you can count on for successful deliciousness. 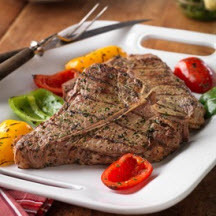 Often considered the best part of the ribeye, this steak gets rubbed and grilled then topped with a cooling salad. 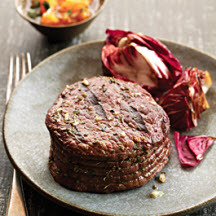 A homemade parsley pesto is spread on steak and bell peppers for a vibrant flavor.